You have been our rock over the past 3.5 years! We can imagine that leading the development team from Tirana has not always been easy. What would you consider to have been the most difficult in getting TeachPitch off the ground? To lay the path to success it takes a lot of passion and hard work at the same time. And these two ingredients were and still are the magic combination of what we have now. At the very beginning we got a product that had just started, which had a lot of dreams and passion inside it, but sadly not a lot of traction yet. Our development team was focused on making this all a reality – and I am very proud that we managed. As I recall we were only two here in Albania, when we first got the TeachPitch code and there was no real development documentation of the product yet. Also we were both quite new to the field of education development, and what users would possibly like & use. The real struggle began the moment we tried to set up everything, we spent many hours trying to figure it out, and build something we could handle and grow in the long-term. What would you say has been the best experience in working with the team? When we first started recruiting team members, above work experience and being the best in specific areas of development, we wanted passion, dedication and love for what you do. We were very much focused on building a group that would work and behave as a team, and taking into consideration the distance between the teams, a group that possessed exceptional communication skills. Now when I look back I am very proud of the team we created, and as Aldo calls us, we really deserve to be called team AMAZING, for our dedication and great communication. The best experience for me is the fact that all the people that have joined or left TeachPitch have created a legacy through their work and each one of them feels that the product is a little bit of their own property. What do you consider to be the no 1 challenge in being a successful Lead Developer? Becoming a Tech Lead is tough, instead of simply designing and writing code, a Tech Lead is responsible for an entire development team – and this means dealing with people, both technical and non-technical. Finding time to code and being involved in the code helps you build respect with the rest of the team, but it also helps keep your knowledge up to date while dealing with constraints, problems and the “shape” of the current codebase. Tech Leads are not measured by how many coding tasks they complete. They are measured by how effective their software team is. Anything that a Tech Lead can do to make each person function better, will have an overall effect on the team and that is the real struggle. Sitting down with members of our team to understand their backgrounds, their strengths, their interests and their goals to understand how they fit in your team and as a group, is crucial. Connecting developers with opportunities for them to grow, means allowing them to take risks so they can learn and grow, but also contribute to the team. A Tech Lead is responsible for encouraging people, sharing knowledge across the team, and find ways to help each team member connect with each other. Describe to us a working day in your life. A day usually starts by taking care of what we have left from the day before. Opening emails to check any possible meetings, new emails, or bug reporting as well as reaching the task management tools to check what is done or still needs to be done in order to delegate and discuss with the team. In the morning I usually do a quick test of what is on the Technical Review board, after seeing the QA feedback. 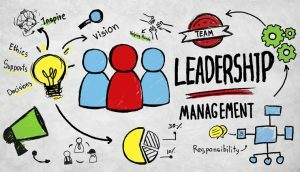 All of this is discussed with the team in a quick morning meeting, or catch up with the team, individually or as a group to settle the work for the day. Then the day switches between a lot of interactivity with our London team, for questions, answers, things to do, and for sure a lot of coding, debugging and helping each other. Where do you think TeachPitch will be in 5 years time? Being a witness to what TeachPitch growth has been so far I dare to say that the sky is the limit to all of TeachPitch’s dreams. 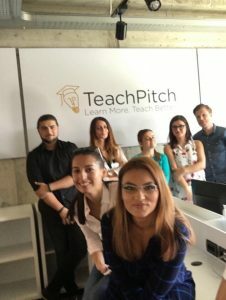 As well as taking into consideration the Asian and Indian expansion of our project, I think that very soon TeachPitch will make life easier for hundreds of thousands of teachers from all over the world, as well as the ability to offer tutoring services of an excellent quality which will help all teachers and schools genuinely learn more and teach better. What advice would you give to young female students who aspire to build a successful career in technology just like yourself? First of all to all young ladies studying out there, there is no such thing like ‘this is not work for a girl’ and never let someone tell you that you cannot do something. I used to be told a lot, study for something more ladylike that will not need you to spend hours in front of a computer in an environment possibly full of men. But I had a dream, and I had the passion. Luckily times have changed a lot, now work environments as well as classrooms are full of young, talented and inspiring girls, who are dedicated to following their dream. Many women shy away from such careers because they are predominately male dominated environments but instead they need to take advantage of it. Instead of being intimidated they need to own it and realize that women can be assets on the team and bring diverse perspectives to solving problems. I would encourage them to take risks, be bold, be purposeful and be themselves. It’s the uniqueness of each individual that gets us to new, creative solutions. Spread the word to every woman out there that they can reach everything they have dreamed of.